Happy Monday! How was your weekend? Well, guess what? 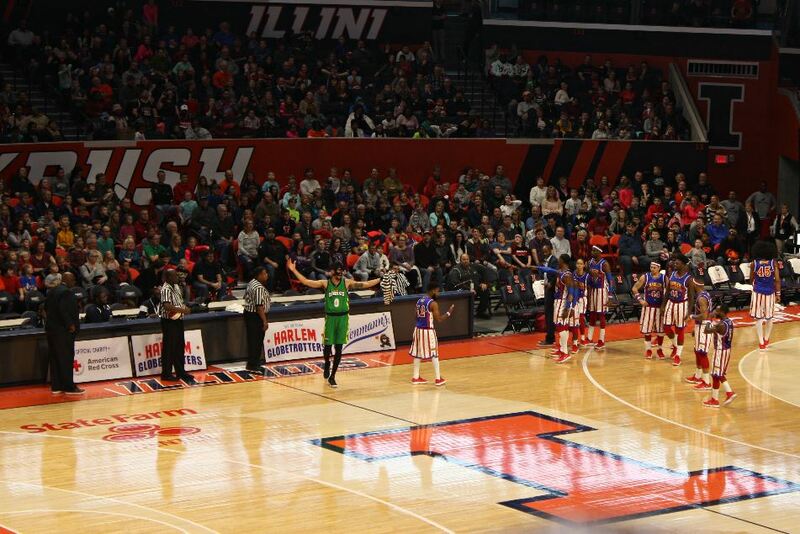 We made it to the Harlem Globetrotters game at the State Farm Center in Champaign on Friday – just like I said we would!! 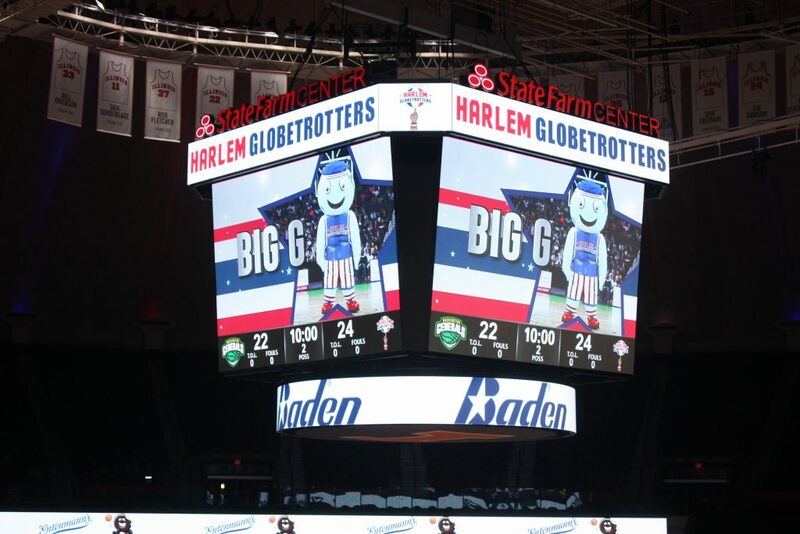 So, we were able to see all of the Globetrotters’ incredible ball handling wizardry, rim-rattling dunks, trick shots, hilarious comedy, and unequaled fan interaction! 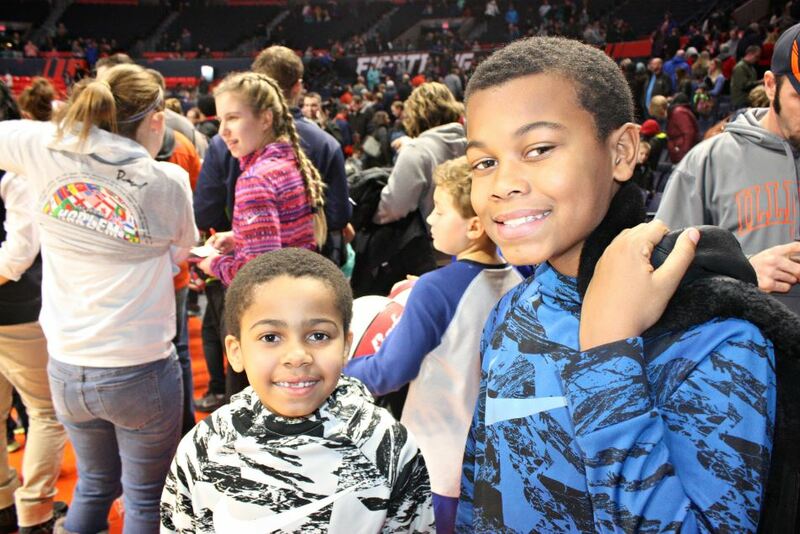 This is definitely something you will want to take your family to, especially if you have basketball enthusiasts and little athletes in the house! 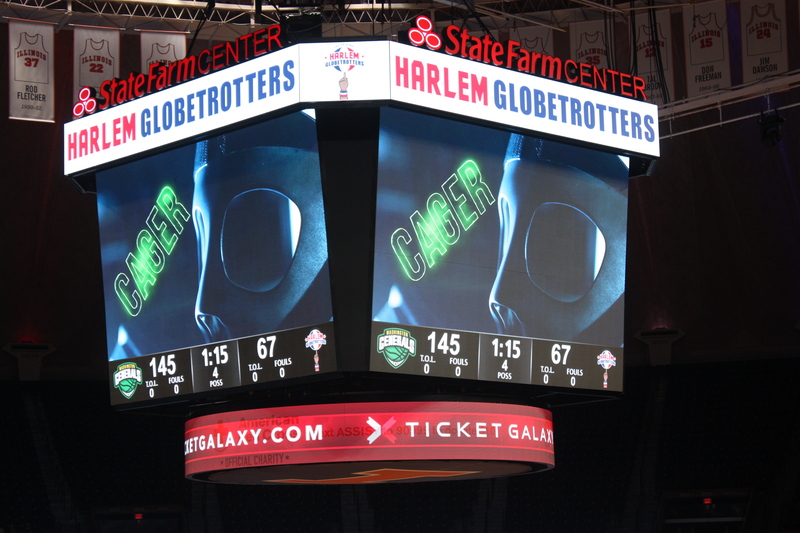 As, I mentioned in my previous post, the star-studded roster features Big Easy Lofton, Ant Atkinson, Hi-Lite Bruton, Thunder Law, Bull Bullard and Cheese Chisholm – plus female stars TNT Lister, Ace Jackson, and Hoops Green! 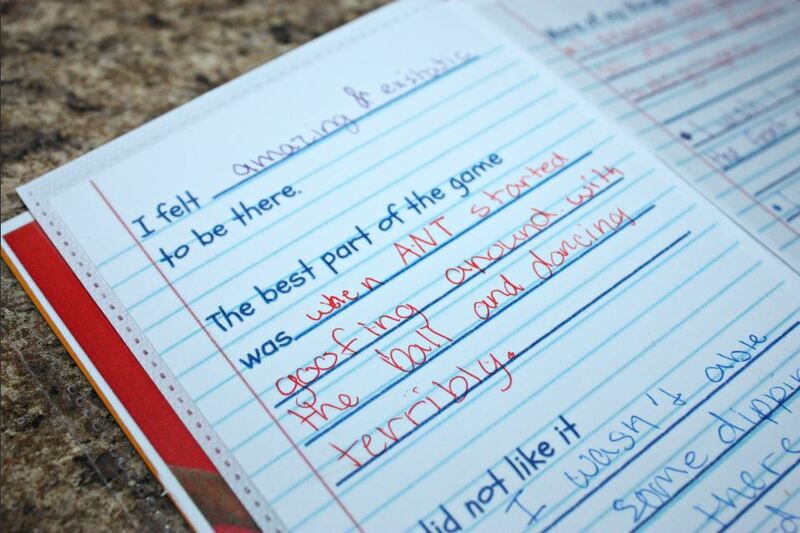 The boys really got a kick out of watching Ant Atkinson, so much that Jay wrote all about him in the journal pages of the autograph album that I made for them to take to the game. 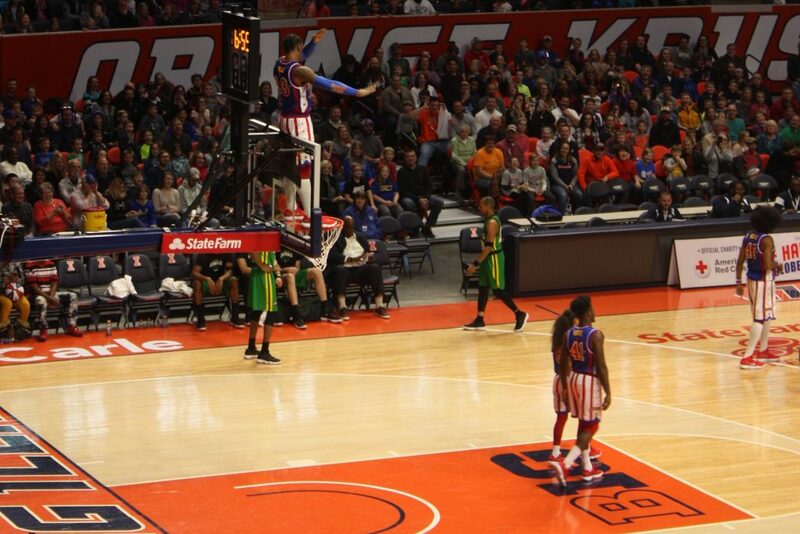 We also enjoyed watching Hoops Green out there because she was the only female star out there for Friday’s game. She really showed her moves with sliding across the floor while still dribbling the ball. 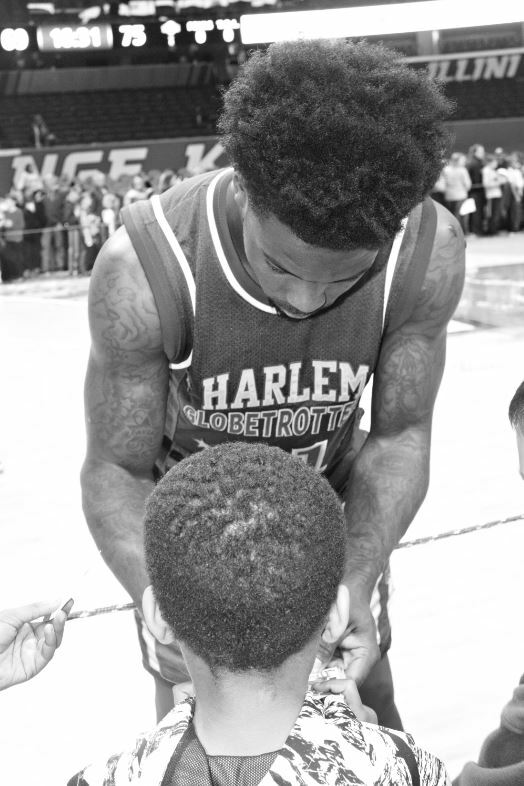 She even brought out a little girl and helped her spin the ball on her finger. I’m sure that’s a moment that little girl will never forget! 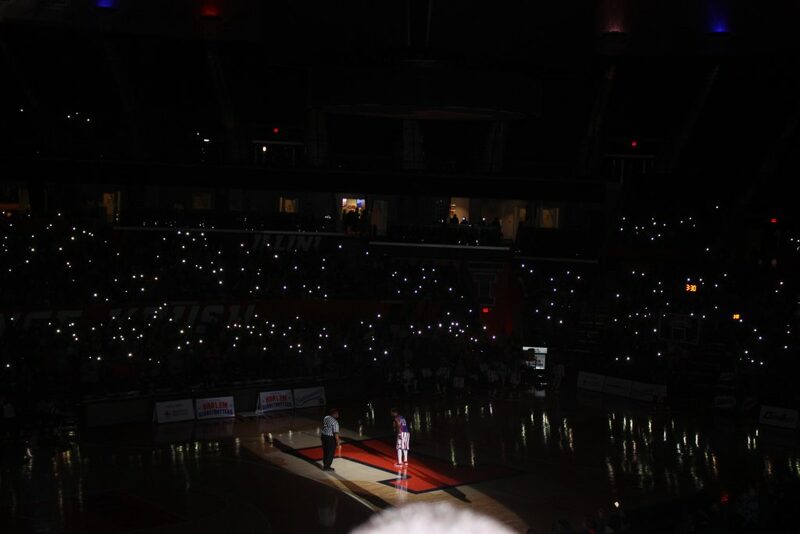 But, here’s a few other favs from the evening that I hope you are able to go and check out for yourself. 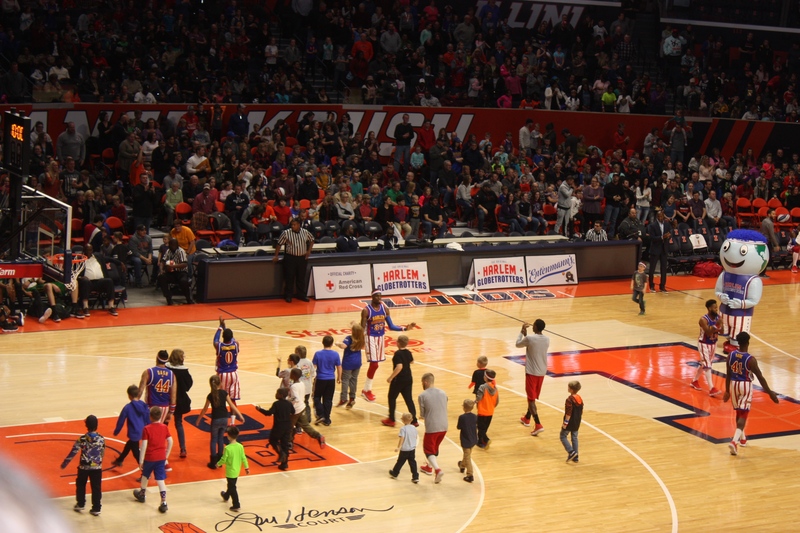 Once we got parked and got seated and situated, we didn’t move from our seats, even at half-time because the place was pretty packed. And, for me… I’m the type that stays seated once we go somewhere, especially if it’s crowded. I don’t want to lose or seats or have to ask someone to move out of them. I don’t want anyone getting lost, etc. Jay was a little upset because he wanted to Dippin’ Dots during half time and I didn’t let him leave, but hey, I would rather you stay safe and seated than me having an anxiety attack because I can’t find you in a crowd of people. I’m sure you can understand. Anywho, we really enjoyed watching all of the of the fun and crowd interaction, especially with the T-Shirt Launch, interactions and jokes with the referee, Big G with his pop-off eyes, Cager from the Generals cheating, and everything else in between. 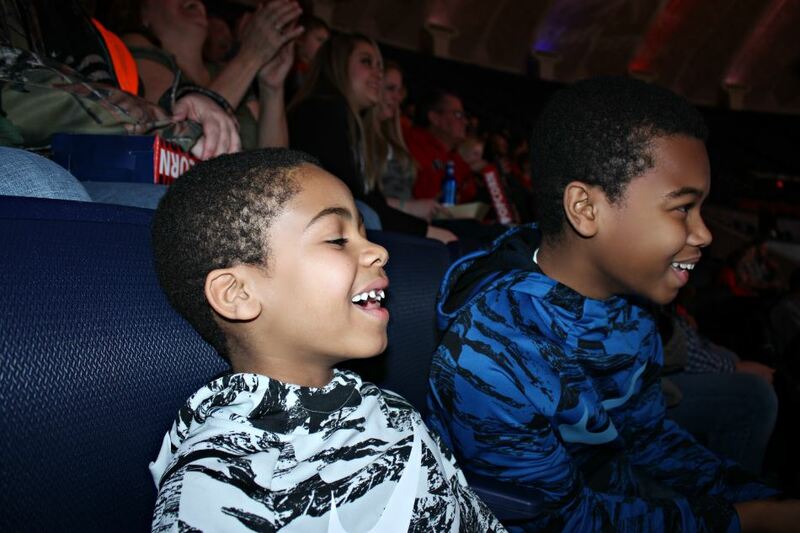 This was definitely an amazing family event to enjoy! So, if you haven’t seen them on tour yet, go ahead and catch them on tour in a city near you for discounted tickets by using the following promotion code for 25% off! 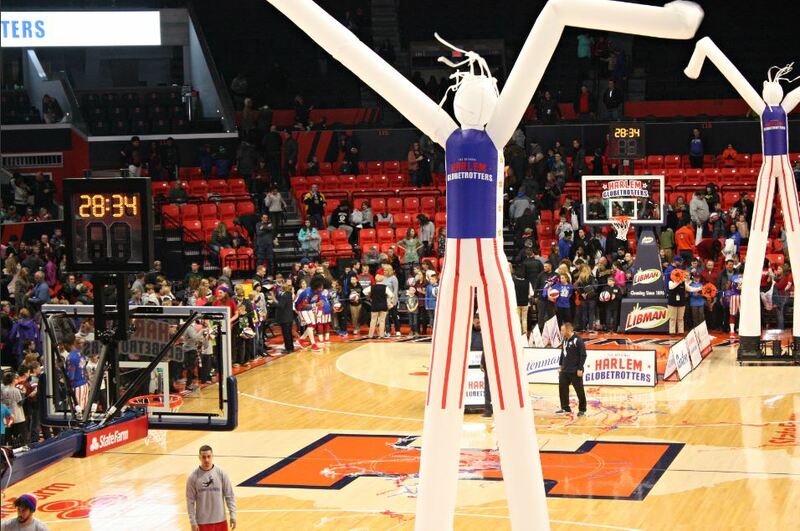 Games are continuing for the next few months all around the United States. 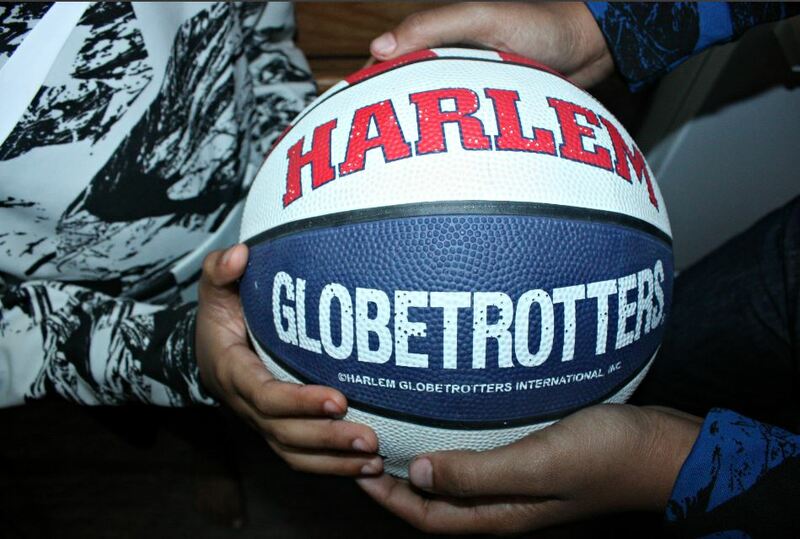 To check for a city near you, visit Harlem Globetrotters. 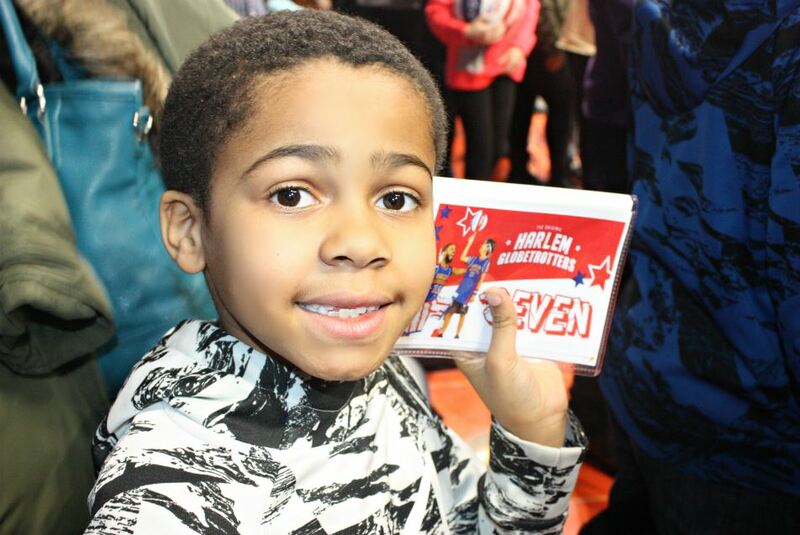 We stayed after the game as I mentioned from my previous post so that the boys could get photos and autographs with the Harlem Globetrotters. 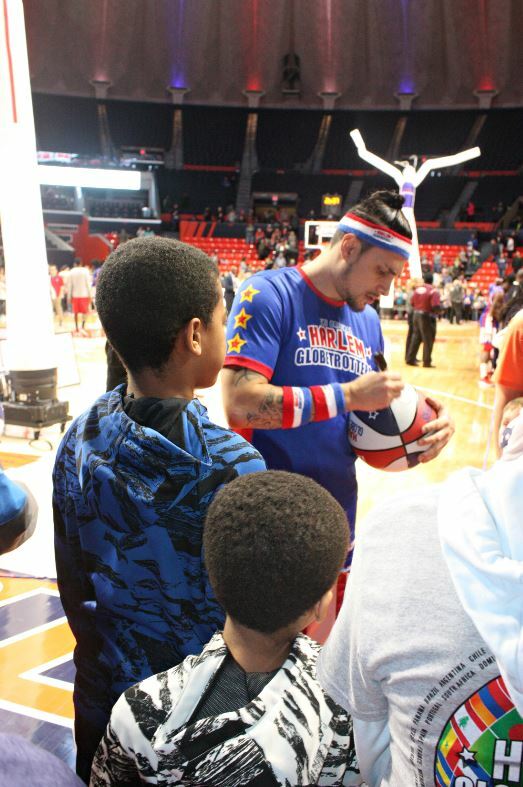 We wore a combination of red, white, and blue to match with the Globetrotter colors. 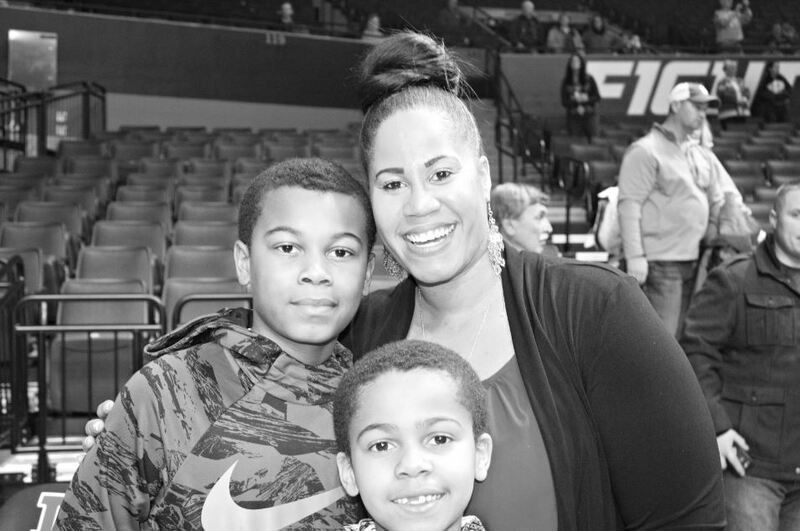 We took a quick family photo together, but decided against taking one with the Globetrotters because it was jammed packed with children waiting and pushing. 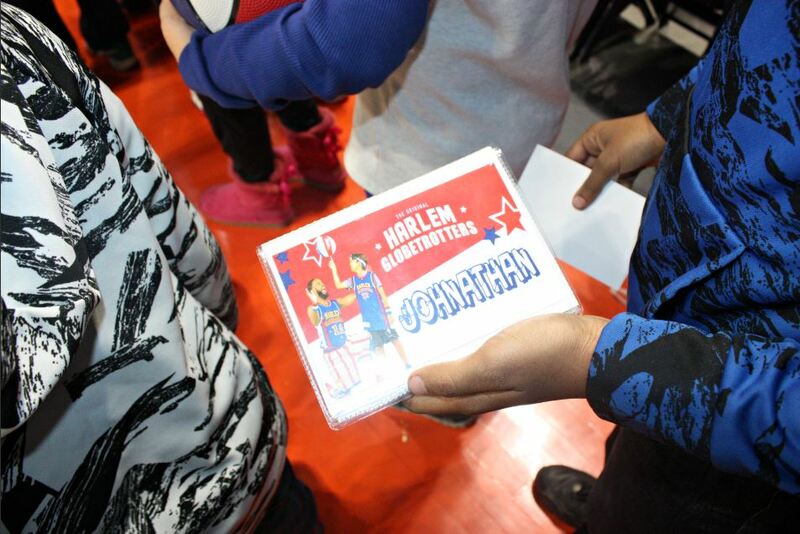 Finally, I did create a mini autograph Harlem Globetrotters Album for the boys to use to get autographs and it worked perfectly! Yayyy! 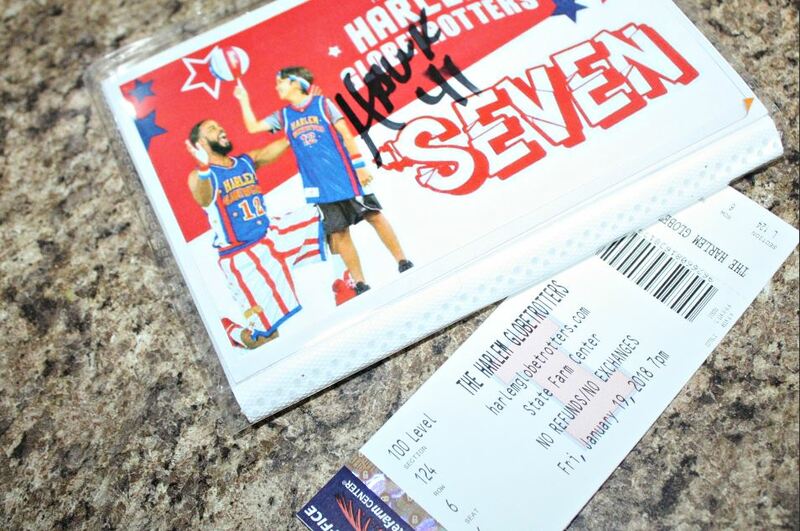 Next week, I’ll post the mini autograph tutorial with FREE journal download cards. P.S. 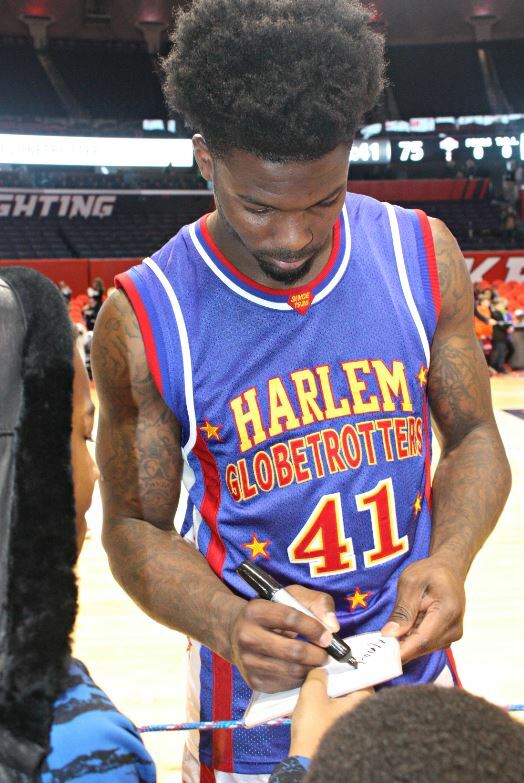 Don’t forget to purchase a basketball (if you can) because you can have that autographed, as well. 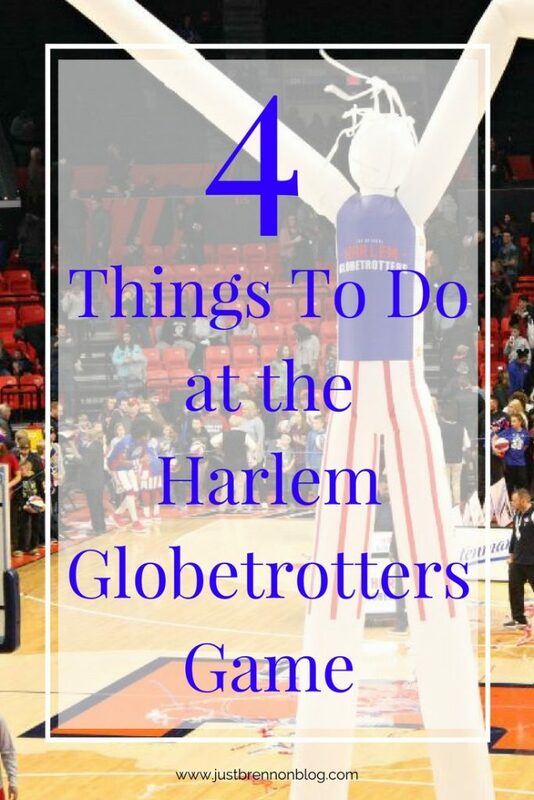 This post is in partnership with US Family Guide and the Harlem Globetrotters.